A critical goal in cancer disease management is early detection. When detected early, cancer progression can be arrested using techniques such as targeted therapy, chemotherapy and surgery, thereby increasing the chances of survival and a higher quality of life. 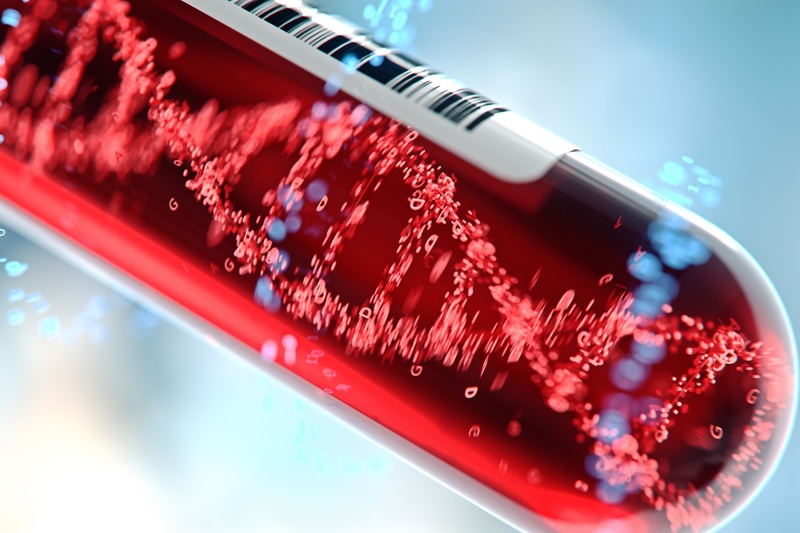 Liquid biopsy offers the promise of providing a quick, non-invasive and cost-effective alternative to surgical biopsies, allowing tumour analysis through a simple blood sample. Traces of the ctDNA in the blood offer the potential of not only earlier cancer detection, but may also guide therapy selection, enabling routine monitoring of cancer to assess minimal residual disease, and resistance monitoring during treatment. Advances in next-generation sequencing (NGS) and digital PCR (dPCR) are accelerating the development of quantitative assays that can the detect low amounts of mutant DNA present in blood samples, often down to 1 in 1,000 mutant alleles (0.1%) or lower. These developments have enabled non-invasive cancer profiling of associated somatic variants from ctDNA. AMS Bio now offers ctDNA reference standards highly characterised, quantitative multiplex quality controls to support the development of assays. These standards are engineered to mimic the fragmentation profile of nucleosomal ctDNA (~166 bp) observed in patient samples across are range of allele frequencies. Pre-validated by digital PCR, cancer-associated mutations are included across EGFR, PIK3CA, NRAS and KRAS samples. Based on CRISPR/Cas9 isogenic cell lines, AMS Bio Patient-Like circulating ctDNA is available as purified DNA or in a synthetic plasma. These reference standards can be directly incorporated into assay optimization, as an essential control for evaluating of limits of detection and specificity.